Shock news!!! Fans make Felicia Day cry on her Birthday! Happy Birthday, Felicia - now weep! Breaking News: Felicia LOVED the Video! 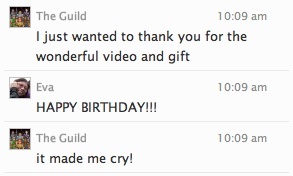 After checking sources it has been revealed that, in fact, Felicia was crying tears of JOY at the video, not despair! Congratulations to everyone involved - it was a wonderful way to celebrate someone special! Have a BRILLIANT BIRTHDAY, FELICIA!!! How do you celebrate a guy like Joss? It's hard to know, isn't it? He has everything - a glittering career, a wonderful family and a list of friends as long as your arm. AND he's met Felicia Day! He is a lucky, lucky man. Forget the years of work, the disappointments and rejections. Joss has it easy. He is Mr Easy of 125 Easy Street. Wherever he goes people flock to him, asking for autographs, eager to hear his tales of working with people like Neil Patrick Harris and that Canadian dude. And not a day goes by without his name being linked to a film, comic book or sequel - how exciting that must be! Luckily he has a blog to keep him straight. Updated by faithful minions, Joss never needs a fancy phone or planner because all he needs do is check in one site. If he's ever unsure as to whether he's supposed to be dismissing rumours of a Serenity sequel or ignoring claims that his latest project has been cancelled all he needs to do is log onto the Internet and go to Whedonesque.com. And one day soon he'll be able to manage that himself without Jed. Exciting times indeed. 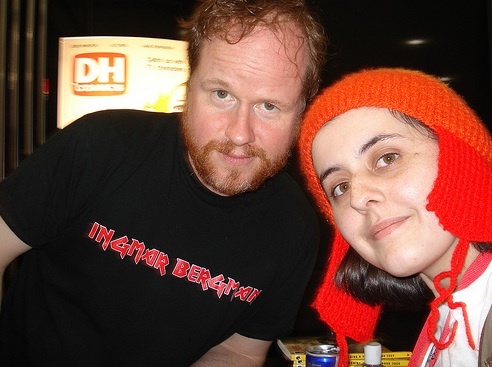 Of course, you could celebrate Joss' birthday in a more traditional way and join in your local Can't Stop The Serenity (CSTS) event. Now in its FIFTH YEAR, this celebratory screening Joss' masterpiece, Serenity, is a great way to meet new people and raise money for charity. And today I have an interview on PinkRayun.com with the person who started CSTS in 2006 - The One True b!X. It's an insight into how the whole thing started and is very interesting. B!X didn't sit around wondering how to celebrate, and now neither do you. Check out where your nearest CSTS is and buy a ticket or three. Hope to see you there. Can't Stop The Serenity (CSTS) 2010: where are YOU celebrating? Time to dust off your Jayne hat, polish up your space boots, and don your Browncoat - 'tis the season to be mighty! This year marks the FIFTH annual Can't Stop The Serenity global sci-fi charity event. If you've never heard of it before then 1) Where have you BEEN for the last 5 years??? 2) It is an annual charity screening of Joss Whedon's film, Serenity, in multiple cities across the globe which raises money for the charity, Equality Now. 3) It's a great way to get out and meet new folks. "...Equality is not a concept. It's not something we should be striving for. It's a necessity. Equality is like gravity. We need it to stand on this Earth as men and women. And the misogyny that is in every culture is not a true part if the human condition, it's life out of balance and that imbalance is sucking something out of the soul of every man and woman confronted with it. We need equality. Kinda now...." (Joss Whedon, Equality Now awards ceremony, 2006). This Saturday, 26th June, Vancouver is holding its charity screening of Serenity event and what a fun-packed day it will be! There is a silent auction will amazing items from signed DVDs of The Guild, knitted Daleks, signed photos of Jewel Staite and many, many awesome items! There is also a costume competition, a screening of Dr Horrible's Sing-Along Blog AND an exclusive screening of first part of Browncoats: Redemption film. If that wasn't enough there is also the world premiere screening of the lastest episode of The Masked Roger, a comedy webseries by our awesome friend @alalcoolj. I hear the voiceover is amazing... :) Oh - and we get to watch Serenity, too. It will be shiny. If you live in Vancouver or the Lower Mainland (or Bellingham, Seattle, West coast...) then pick up your tickets now at Happy Bats Theatre or buy them online. I'll see you at the MacMillan Space Centre on Saturday! If you are not within reach then check on the CSTS website to see if there is a screening near you. There are 42 cities across the globe celebrating in one way or another in the coming weeks, so make sure you don't miss out. Y'all have your pretty floral bonnets ready, now don't you? How did CSTS come about anyway? For that we can thank @theonetruebix, since it was all his idea in the first place. I guess that's why we should never accept substitutes. 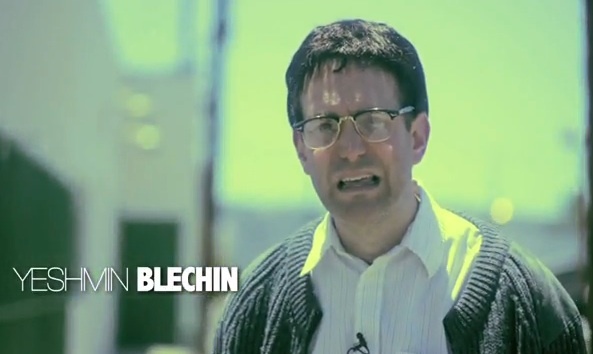 HOT NEWS JUST IN: I will be interviewing the one and only b!X about CSTS soon for PinkRaygun.com, so look out for that! In the meantime you can check out his rather fantastic photography site and maybe snag yourself a competitively-priced print. Or two. UPDATE from @SaveJimQuon: "UPDATE: new message recieved ...ECG says jim is no longer with us. things went downhill last night. body started its shut down process"
We will know more later. For now all my love to Jim, his family and friends. I'm so sorry the news wasn't better. UPDATE 2: Sadly Jim passed away this afternoon at 12:49 PST. Please read Vince Caso's blog for more details. You can leave messages of support for his family on Facebook and donations are still being collected to help cover the medical costs. Rest In Peace, Jim. You will be sorely missed by family and friends. Many Guildies will be aware that Jim Quon, @Scarbuck, suffered a major stroke this week leaving him critically ill in hospital. Since the news broke people have been sending messages of love and hope to Jim and his family, hoping that Jim will pull through. On the practical side, collections are also being taken for Jim and his family because he has no medical insurance. It's very hard for me to understand how emergency and life-saving care is not freely available to all the people of the United States. I lived most of my life in England and now live in Canada. The idea that people unable to pay are denied treatment or that the treatment might bankrupt you, beggars belief. I know it is changing but for now if you don't have insurance in the US then the cost of care falls to the individual and their family. And the costs are enormous and on-going. Every scan, treatment and day in hospital adds more to the bill. So far donations have raised about $3,300 (not including checks that have been mailed), which is brilliant. That is an amazing amount for such a small time. But is it far short of the costs Jim's family are facing. 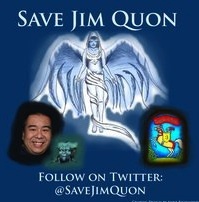 Join the Facebook group and follow @SaveJimQuon on twitter. Send a message, share a story, support your friends. Donate if you can - even a small amount can help (links are on the Facebook page). Drop into The Guild chat and show your support. Send prayers if you pray. The news this morning is grim but we will have to see how things work out. In the meantime we can hope for the best and do everything we can to help his family. We're friends. Friends help friends. As always, I'm so proud to be a Guildie. All the best, Jim. We're all rooting for you. Cookies and love, always. * I'm sorry if I've left your name out. I know there are many, many people helping out and doing everything they can. Like many people, I've been waiting see what would happen at the next two IAWTV (International Academy of Web Television) meetings held in New York today, and LA on the 17th. After the May meeting in LA, Jenni Powell did an excellent summary, as did Liz Shannon Miller from NewTeeVee. Felicia Day, who is a member of the Board couldn't attend but wrote about her thoughts regarding the future of the IAWTV post-Streamys. The excellent podcast, New Mediacracy, also recorded a show straight after the May meeting, with Tony Valenzuela, Casey McKinnon, Barrett Garese, Brett Register, and Rudy Jahchan. This podcast is hosted by Zadi Diaz, Steve Woolf and Chris McCaleb. I highly recommend listening because it touches on many of the pertinent matters related to the whole new media/web video community in a straightforward and personal way. "...I am writing to inform you of my intention to resign my position as a member of the Board of Directors of the International Academy of Web Television, in concert with three of my fellow founders, Joshua Cohen, Marc Hustvedt, and Jamison Tilsner. Jamison and I will also be resigning our respective offices as Treasurer and Executive Director of the IAWTV..."
Mr Brim-Deforest and the other members will not be leaving the IAWTV but will remain members and still contribute as such. A letter from Elizabeth Flack dated May 26th, which was been posted on webseriesnetwork.com, said that this would happen and also outlined the new committees being set up. It also announced a new 'Director Emeritus' seat to be held by one of the six founding members of the IAWTV. Real changes are afoot and it looks like the June meetings might bring about some positive plans for the future. I'm looking forward to seeing feedback from people who attend. 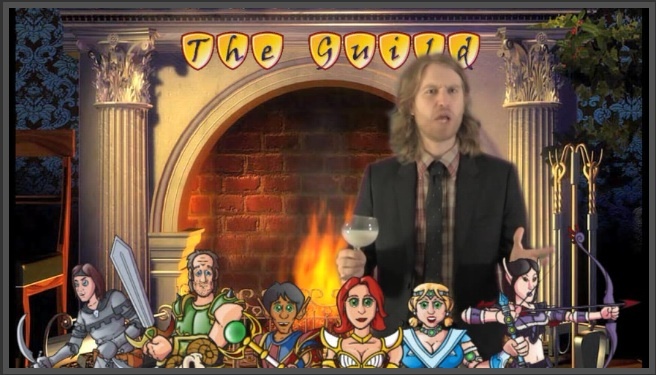 The Guild Season 3 Recap - Autotun'd! Autotuned by the Gregory Brothers! The Streamy-winning Gregory Brothers have released an awesome rap of The Guild Season 3 today - in loving Autotune! Check out The Gregory Brother's YouTube channel, schmoyoho, to see all their "Autotune the News" videos - witty and beautifully-arranged songs, and you can also follow them on Twitter. EDIT: There is an embed code for "The Guild Season 3 Recap: Autotuned" now! Enjoy! Here's the link so you can view it here. The Guild S4 Wraps Principle, More Behind The Scenes and Greg Exposed! Synchronise Watches! The Guild Season 4 is out....SOON! EDIT: JULY 13TH IS THE GUILD SEASON 4 START DATE! See more details. Sean Becker has also confirmed on Twitter that Epsiode 1 is now picture locked, so all systems are go for a July release. As soon as we have a confirmed date I will let you know. There is a lot of Convention and appearance news coming up so make sure you are tuned to @theguild and @FeliciaDay on Twitter. More from The Guild Season 4 Behind The Scenes: Fawkes Handles! There are some sweet cameos this week so thanks to everyone involved (and The Guild for not setting George on us). Greg Benson - One Hundred Million thank yous! I spoke to Greg on Sunday and I'm putting the finishing touches to the interview now. Greg was very generous with his time and we talked about everything from his big break in Hollywood to eating brains - and lots of thing in between, including some of the questions you sent me. The interview will be out very soon so watch out for that. 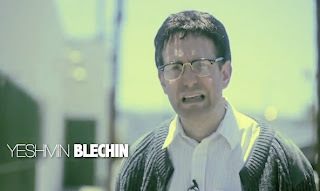 As ever, there will be a new Mediocre Films video out tomorrow, so make sure you are subscribed to them on YouTube (and for goodness sake go and watch the new Yeshmin video - it is truly a work of art!). Who the heck is Greg Benson? Interview coming soon! Where to start with Greg? The truth is that Greg is everywhere you look. The Guild? He directed part of Season 1 and they just finished shooting part of Season 4 at his house. Gorgeous Tiny Chicken Machine Show? Greg directed that, too. 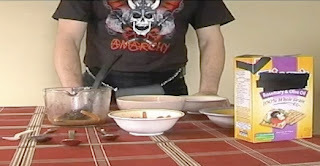 In fact, if you go to MediocreFilms.com (they're better than they sound) you will find a host of hilarious videos that have all been touched by Greg one way or another, like Two Hot Girls in The Shower. I'll be talking to Greg in a couple of days so here's YOUR chance to send me some questions for him. He's worked with them all - Day, Becker, Evey, Benz, Brando, Nalts...the stories he must have! Leave your questions in the comments here or via Twitter and I'll get through as many as I can. Wish me luck and I'll post the video as soon as I've recovered! Wilson Cleveland with Felicia Day, who guest starred in "Webventures"
Want to know more about "The Webventures of Justin & Alden"? 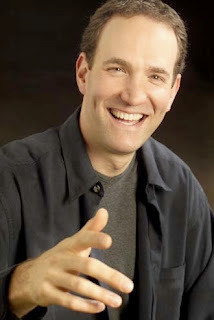 Last week I said I was going to be interviewing the multi-talented Wilson Cleveland, producer of "Webventures", co-founder of CJP Digital Media and new media veteran. I asked if anyone had any questions for him and Huck, Eva, Osiramon and Bryan all stepped up. I put their questions and mine to Wilson and he replied with some really in-depth answers. Part 1 is on PinkRaygun.com today. The second part of the interview is out tomorrow where Wilson talks about the Streamys and offers some advice to aspiring web video creators.